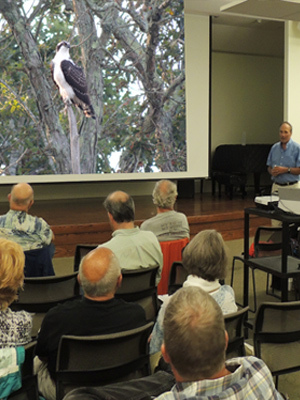 John welcomes invitations to speak on nature topics at public libraries, nature centers, outdoor clubs, community organizations, or to discuss any of his books at book club meetings. 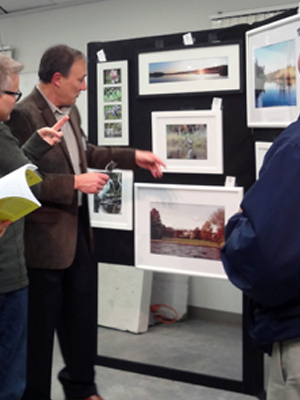 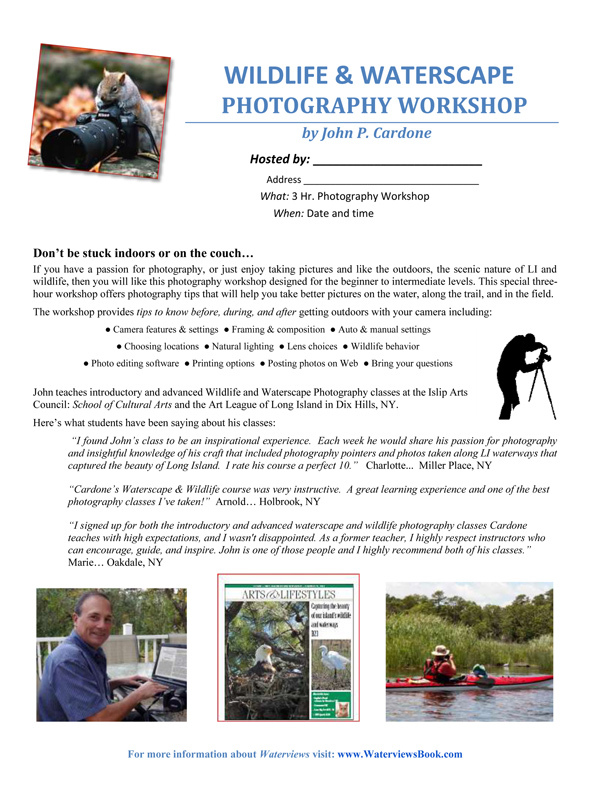 In addition, John can set up a photo exhibit of his scenic and wildlife photographs such as, “Eagles on the Carman’s River” or “Hummingbirds & Eagles” among others. 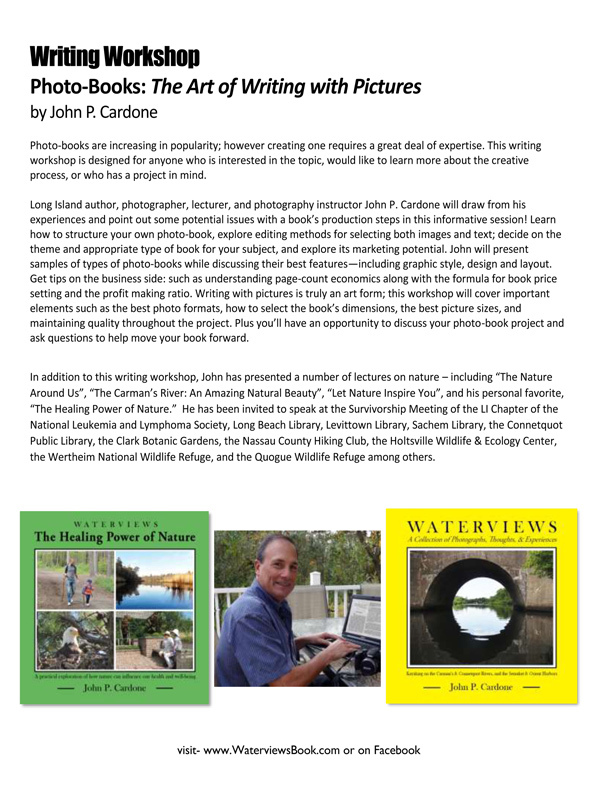 In addition to teaching photography classes at the Art League of Long Island and The Islip Art Council’s School of Cultural Arts, John has presented a number of lectures on nature including: “The Nature Around Us”, “The Carman’s River: An Amazing Natural Beauty”, “Finding Inspiration in Nature”, and his personal favorite, “The Healing Power of Nature”. 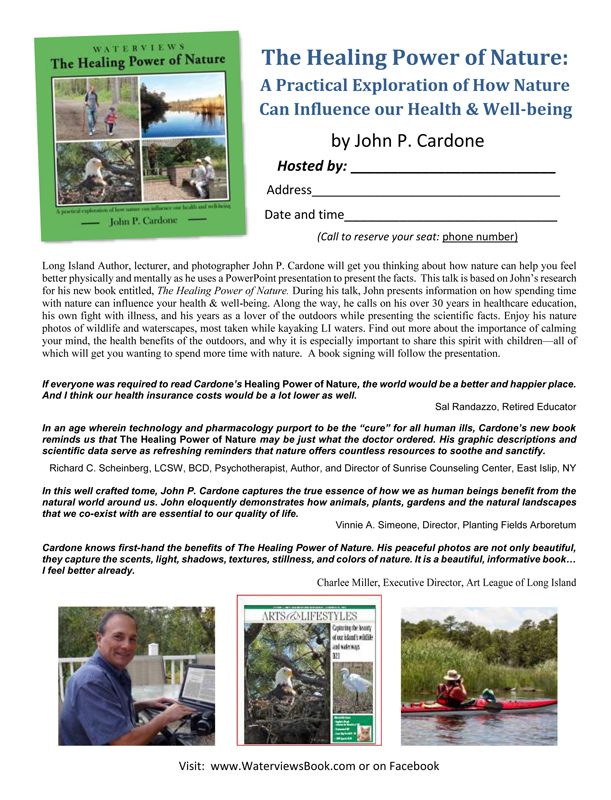 He has been invited to speak at the Survivorship Meeting of the LI Chapter of the National Leukemia and Lymphoma Society, Long Beach Library, Levittown Library, Sachem Library, the Connetquot Public Library, Half Hollow Hills Library, Syosset Library, Great Neck Library, the Clark Botanic Gardens, the Nassau County Hiking Club, the Holtsville Wildlife & Ecology Center, the Great South Bay Audubon Society, the Wertheim National Wildlife Refuge, and the Quogue Wildlife Refuge among others. 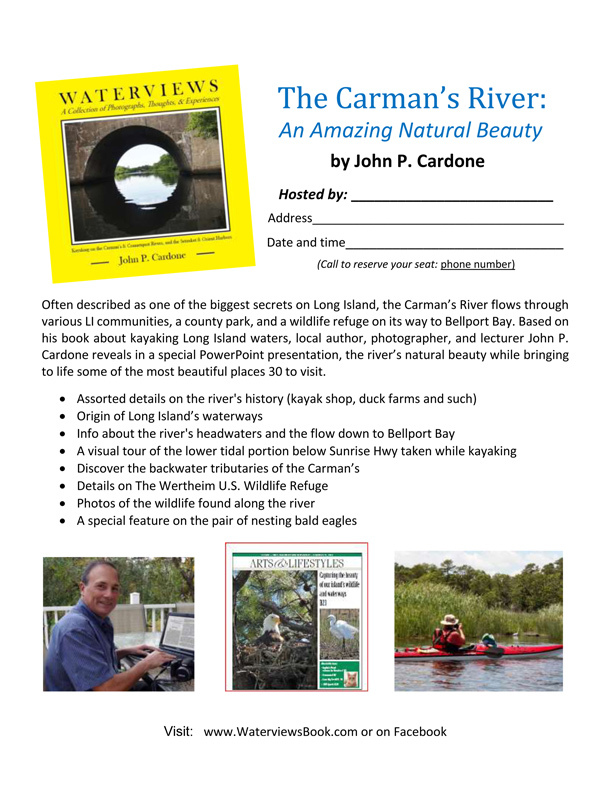 Click on the title below for more details and to contact John, use the Contact Tab.